My 2014 Tribeca Film Festival continues over at Sound on Sight with my review of the sports documentary Next Goal Wins, which profiles the American Samoan national soccer team, which went 30 years without a win in international play before this film’s cameras starting rolling. Check out my review of the film, which follows well-worn cliches that are well-worn for a reason. That’s to the say the film is a lot of fun—very familiar, yes, but inspirational, extremely watchable, and so enjoyable. 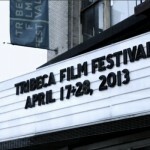 More Tribeca reviews to come soon, so stay tuned!